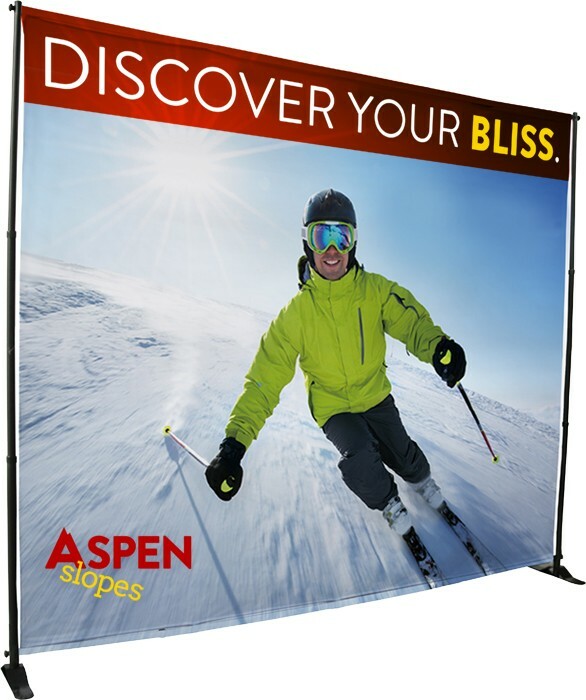 Full color dye sublimation fabric backdrop with frame that can be adjusted horizontally and vertically. Includes wrinkle free fabric of desired size with custom image or media step and repeat design. Easy set up with top and bottom pole pocket installation. FREE carry bag. Custom backdrop size is imprint area. Full Color Digital Direct print on vinyl. or dye sublimation subsurface on white fabric.